Do you need to make sales but hate selling? Do you want to be more persuasive without being pushy? Are client relationships more important than getting the sale at any cost? If you answered ‘yes’ to any of these questions then this book is for you. In LOVE SELLING Audrey Chapman shares her revolutionary approach on how to sell without selling out. It is common for sales literature to focus on ‘closing’ but this book starts with a deep conversation about ‘opening’. Over the years I have read many sales, self-help and motivational books. All have one thing in common. They try to change the reader into something different. Which for most people is almost impossible. The difference with Love Selling is three fold. The book explains everyday processes so you can learn and develop as yourself, not try to create a new personality. It also shows that sales, carried out in the right way, is interesting, enlightening and fun. But the killer part is that you don’t need lots of sales gimmicks, just apply the Love Selling approach alongside a genuine goal and you’ll be successful. I believe Love Selling is the only guide you will need for a top career in sales. This book is amazing and fits in completely with our ethos at No.6. Explaining to clients which treatments and products are best for them is something I’ve often struggled with, as the last way I want to come across is pushy. Audrey has shown me techniques in this book on how to trust in being myself and to find ways to really understand what our clients want and adding value to their experience at No.6. I’m going to use this as a textbook in our staff training sessions on communication and customer service! I would recommend Love Selling as a must read for everyone working in all types of customer service and sales. It shows you you excellent techniques in communication and how to convey to your customers what you offer without being pushy. Thank you Audrey! Whether you are an established salesperson or just starting out in the world of sales, this insightful book gives you the tools and life lessons in falling in love with selling – either for the first time or all over again. Audrey really connects with you as the reader, sharing her common sense and grounded approach to sales. The book is packed with practical tips on how to open a sales conversation and ways to keep your customers coming back for more. I would recommend this book to anyone who is in any way connected to sales – an office-based leader or out on the road; whether just starting out, a few years in or a veteran – all will learn something to enhance their sales results. Co-founder of Love Selling Academy and author, Audrey Chapman, is celebrating having reached the No#1 Bestseller spot with the launch of her new book, LOVE SELLING: how to sell without selling out. "Wow! What a couple of weeks we’ve had at LOVE SELLING HQ! So after lots of marketing, a huge social media push and the appearance of a few extra grey hairs LOVE SELLING: how to sell without selling out reached No#1 on Amazon in three categories! 'Over the moon' doesn't even begin to describe the feeling of getting a bestseller and it's all down to the support of the Love Selling sales tribe, customers and clients”. Audrey wrote the book in response to the negativity she discovered within the sales industry and how many small business owners and sales professionals felt ‘scared’ about selling their services or products. She says "If you need to make sales but hate selling, want to be more persuasive without being pushy and feel that client relationships more important than getting the sale at any cost, then this book is for you. 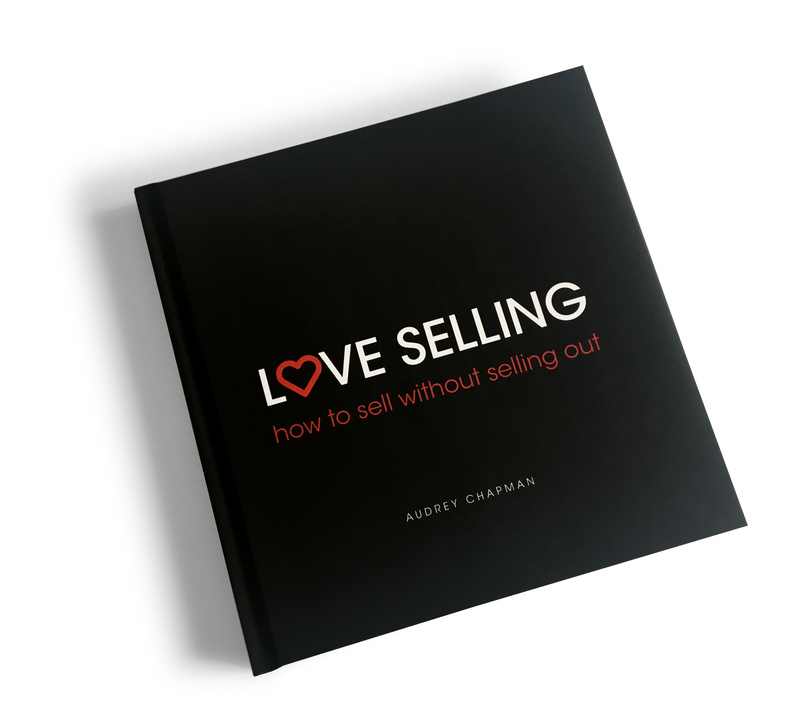 In Love Selling I share my revolutionary approach on how to sell with passion and integrity, leaving you with that all important sale and a lot of very happy customers”.